Your car needs constant attention just like your home. The providing of such cares, however, is not always possible due to various kinds of circumstances and factors. In the moments when you are unable to give to your car the upholstery cleaning it deserves, you can call our agency and ask for our professional assistance. 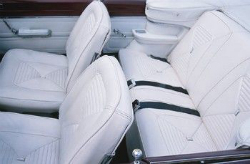 We are experts on everything which is connected to the maintenance and sanitation of the upholstery parts of your vehicle. With our special technologies and disinfecting supplies, we will make your seats and other upholstered areas perfectly clean and will deodorise them with substances which will keep them fresh for a very long time. 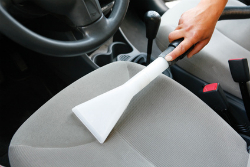 The interior part of the car usually requires even more cares when it comes to the cleaning, than the exterior one. Best London Cleaners realise, however, that most of our customers can’t afford to clean extensively the inner parts of their vehicles and that is why our professional cleaning company made the disinfection of upholstered areas of cars one of its special cheap services. In any case, our amazing procedures will help the recovering of your car from the everyday use and will return its presentable appearance. Our treatments can be applied on leather, as well as on any other kind of material that the inner part of your car contains. Give a chance to the professional car upholstery cleaning services which our company has been offering to you, and make your car even more beautiful. Our useful treatments can be booked during any moment of the day and later performed at any time, according to the possibilities of your busy daily schedule. Call us now and book our great services.